Thank you to Geomag for providing me with product in exchange for my review. All thoughts are my own. What do you get the kid who has everything for Christmas? That's a tough one! I used to love picking out 'boy toys' for my little man. It was oh, so sweet and fun for me, and even more so when I saw his cute little face on Christmas morning as he opened his gifts, filled with wonder and awe. In the blink of an eye, my sweet boy toddler has grown into an eight-year-old, and mostly loves reading, and using his smarty pants mind to build and create. How best to encourage his creative thinking and love for problem-solving? I found the answer when looking for unique gifts this holiday season. I'd heard of GeoMag World, a company which connects kids of all ages with mechanics, building, and science. Yes, these 'toys' really get their gears going, and their minds thinking, thinking, thinking. Since my son loves to build, and has an extensive collection of LEGO sets, his dad and I have been looking for cool new ways to engage him and keep him entertained without a screen. His Poppa introduced him to marble tracks and magnets a few years ago, and he quickly fell in love with them. 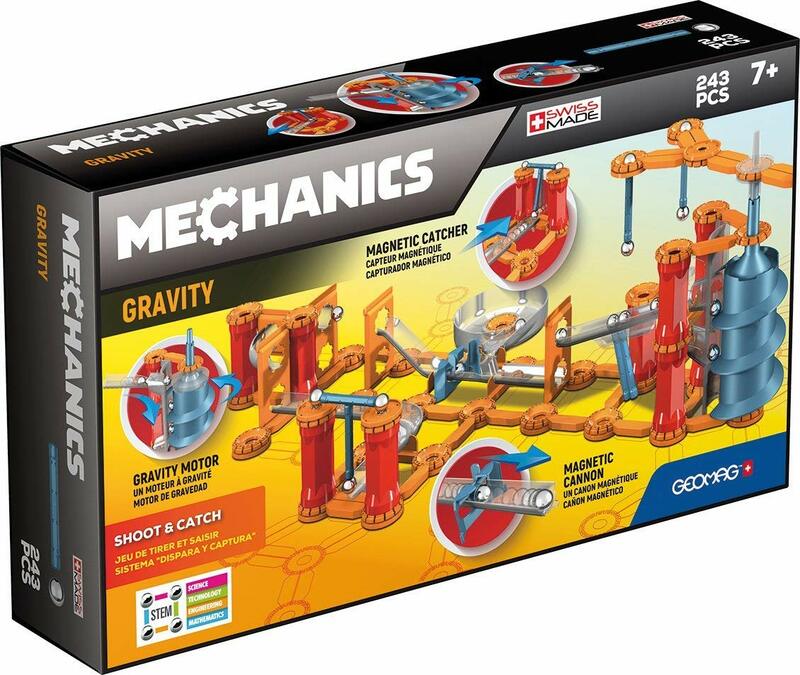 The Geomag 774 Mechanics Gravity Jump Run Construction Toy will have your kids thinking and building for hours! This amazing set is going to knock B's socks off! It's from the GeoMag Gravity line, which combines mechanics, magnetism, and gravity! These cool sets use the forces of gravity to move the balls without batteries or electricity. 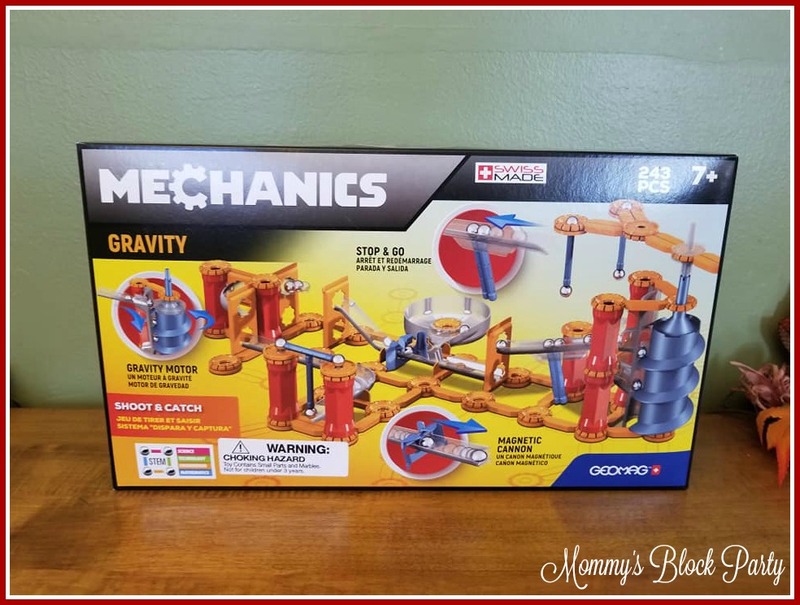 Your kiddos will love building this set, and then watch in amazement as gravity does its thing to put the set in motion! This is the perfect gift for kids who love to build and create or have an interest in science/physics. Inspire the imagination with the magic of magnetic construction - kids delight in the excitement of playing with sturdy pieces that connect and hold together as they build and create unique structures. Kids learn and play with Geomag - Geomag promotes building that is educational and stimulating, introducing important STEM skills and engineering principles through fun hands-on play. 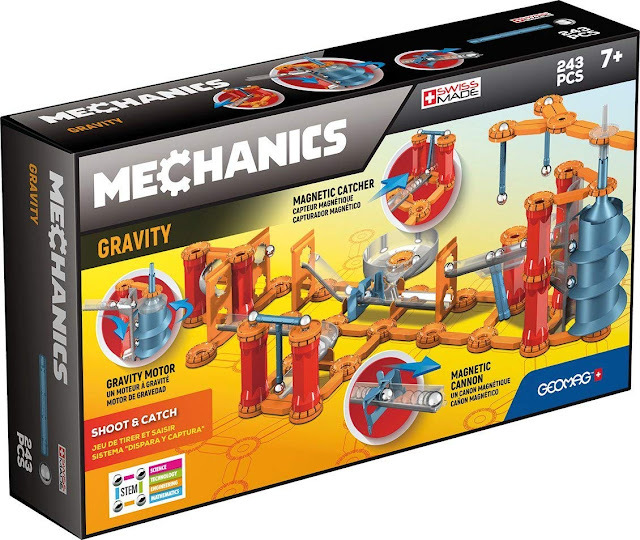 Special features of the jump run set - this 243 piece set features a magnetic cannon to launch balls, a magnetic catcher to stop them and gravity motor. Enjoy an endless world of creative building - almost all Geomag sets are compatible with other Geomag sets, allowing for expanded and endless play possibilities. Proven play value - Geomag created the first magnetic construction toy in 1998 and has developed an award-winning line of products that helps children of all ages develop imagination and curiosity through the science of magnetic construction. Magnetic toys that are completely safe and worry-free - manufactured to the most rigorous safety standards at the Geomag facility in Switzerland, production is monitored through each phase to adhere to the highest safety standards. << be sure to watch the video - to see the amazing action of mechanics gravity sets from Geomag, watch the short clip. Specifications - recommended for children ages 7 and up. WARNING: contains strong magnets. Keep away from sensitive devices such as credit cards, computers, and medical devices like pacemakers. GeoMag is incredible. Not only do they make cool sets for big kids, they have sets for the little ones, too! I can't wait to show you the MagiCube Sets! Head on over to GeoMag World to learn more about their incredible STEM sets, including their Gravity collection! They make amazing Christmas gifts, especially if you're looking for something unique this year! Shop GeoMag World on Amazon! Connect with GeoMag World on Facebook. 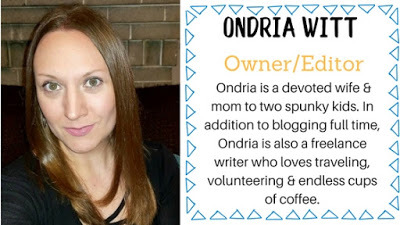 Special thanks to GeoMag World for allowing me to share about their amazing Gravity sets this holiday season! Look for them in our 2018 Holiday Gift Guide for Kids!